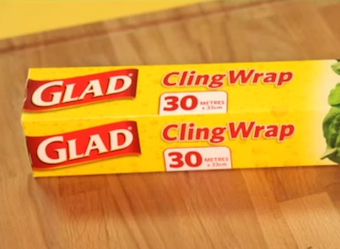 A swarm of customer complaints has forced Glad Australia to backpedal on a product innovation to its cling wrap cutter. Despite supposedly being based on customer research, the new ‘upside down’ metal cutter blade on the Glad cling wrap box (moved from the bottom of the box to inside the lid) has proven unpopular… even anger-inducing. “My boyfriend threw it over the fence when he used it,” wrote Kerry Holmes on the brand’s Facebook page. Kerry Boulton described it as “60 metres of torture”, while Katrina Bourke said she was at her “wits end with the new and unimproved version”. Numerous commenters on Facebook mentioned the product change inspired them to try competitors’ versions, with which they were impressed. It appears the company initially responded to customer complaints by explaining itself and attempting to educate customers on how to use the new version of the product. Although he said the company was “working through this with urgency”, the Herald Sun report says the change may take several months. Following the overwhelming amount of feedback we have received, we are pleased to announce that we are going to change the cutter bar on all our Cling Wrap products back to its original location. We are also maintaining the stronger box, the 50% better cling, the tighter seal, the easy roll start and easier box opening. Our intention has always been to give consumers a better quality product, a better experience and better value; however, our loyal consumers have spoken passionately about the new packaging and this is something we won’t ignore. Once more, we would like to thank you for all your comments over the past few weeks. Our team will be working day and night to get the new product to people as soon as possible, so please bear with us and we will confirm timings very soon.